Eases Your Joomla!® Users' Profile Management. 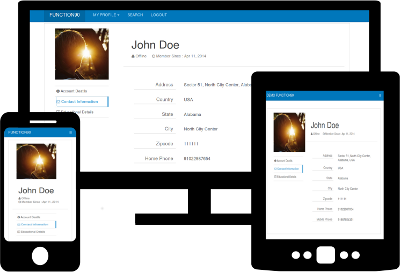 A Joomla Component To Profile Users By Adding Custom Fields And Profile Image. Extend Joomla Profile With Privacy, Security, Registration Validation, Keyword Search. The power to manage and customize Joomla! users' profile is in your hand. Users avatar management, custom fields, secure registration, spam blocking are some features of Joom Profile. Use what you want. Create your process, configure your field everything is up to you. No pre-configured restricted fields. Wide range of fields available. Where Joomla! lacks. We have a solution. Allow users to select their Usergroup at the time of registration. Joom Profile includes a miniature search for all the existing data, no more headache in finding records. Check out the working demo of Joom-Profile on our partners templates.